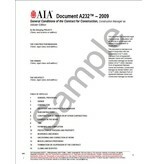 AIA Document A232™–2009 sets forth the rights, responsibilities, and relationships of the owner, contractor, construction manager and architect. A232–2009 is adopted by reference in owner/architect, owner/contractor, and owner/construction manager agreements in the CMa family of Document. Under A232–2009, the construction manager serves as an independent adviser to the owner, who enters into a contract with a general contractor or multiple contracts with prime trade contractor's. 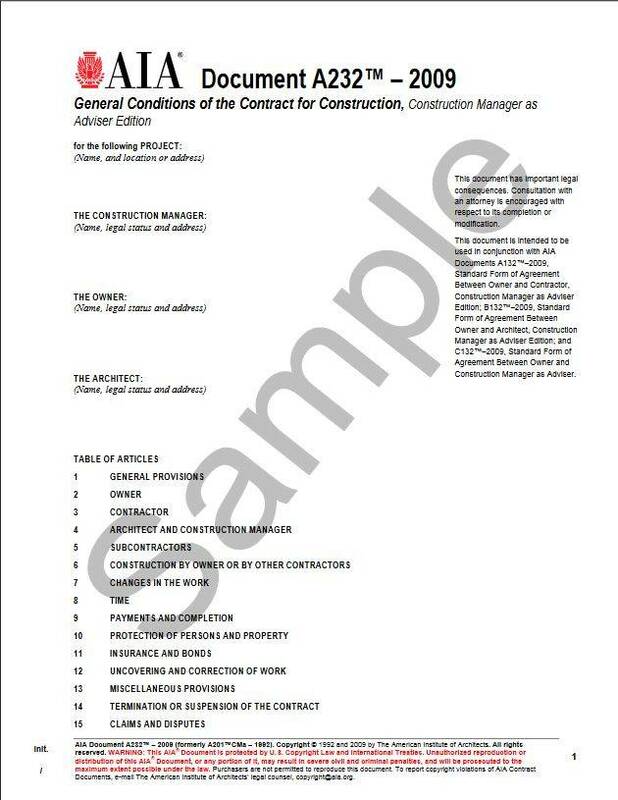 NOTE: A201CMa–1992 expired in 2010.CAUTION: Do not use A232–2009 in combination with agreements where the construction manager takes on the role of constructor, such as in AIA Document A133™–2009 or A134™–2009.